Jetstar is to resume direct Australia-Vietnam flights with the launch of nonstop services from Sydney and Melbourne to Ho Chi Minh City. The Qantas-owned low-cost carrier has announced plans to begin services to Vietnam’s most populous city from May with Boeing 787-8s. The inaugural flight is scheduled to take off on May 10 from Melbourne, Jetstar said on Thursday, with Sydney-Ho Chi Minh City services set to commence on May 11. There will be four flights a week from Sydney, while Melbourne-Ho Chi Minh City will be served three times a week. Currently, Vietnam Airlines is the only nonstop carrier between Australia and Vietnam, with daily services to both Melbourne and Sydney from its Ho Chi Minh City hub. In December, Australia became an all Boeing 787 destination for the Vietnamese airline after it switched both its Melbourne and Sydney services to the aircraft. Qantas, which owns 100 per cent of Jetstar Australia and New Zealand, places its QF airline code on Vietnam Airlines’ two Australian routes. Further, Qantas and Vietnam Airlines are joint shareholders in Jetstar Pacific, with the Australian company holding a 30 per cent stake in the Vietnam-based LCC and Vietnam Airlines owning the remaining 70 per cent. Jetstar group chief executive Jayne Hrdlicka described Vietnam as one of the fastest growing holiday destinations in South East Asia. Hrdlicka said travellers on the new flights to Ho Chi Minh City would be able to explore the rest of Vietnam through Jetstar Pacific’s domestic network. “Vietnam has the potential to become as popular as Bali or Thailand for Australian travellers,” Hrdlicka said in a statement. According to figures from the Australian Bureau of Statistics, there were 69,500 visitors to Australia from Vietnam in the 12 months to November 2016, up 21 per cent from 57,400 in the prior corresponding period. Meanwhile, some 248,200 Australian residents travelled to Vietnam in the year to November 2016, an increase of 2.3 per cent from the 242,700 in the prior year, the ABS figures showed. Hrdlicka said Jetstar’s nonstop flights to Vietnam would help boost inbound tourism to Australia. “The growing middle class in Vietnam has made it one of the fastest growing aviation markets in the world,” Hrdlicka said. 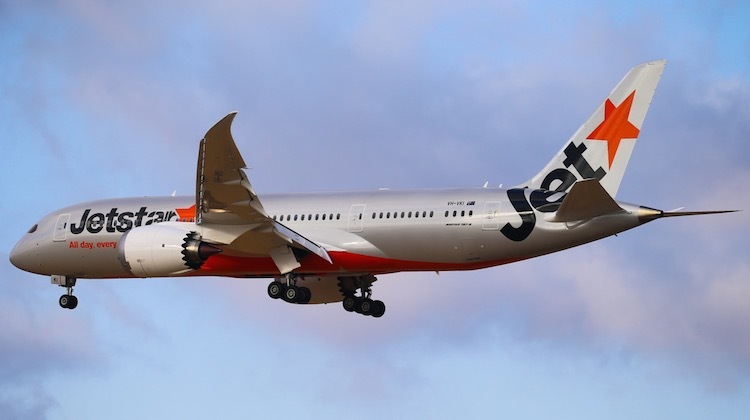 The new route will start three months after Jetstar ends its four times a week Boeing 787-8 Melbourne-Tokyo Narita service at the end of February. Qantas resumed nonstop flights between Melbourne and Tokyo Narita in December. Are Jetstar exiting another route (perhaps Japan) to redeploy the aircraft to the Vietnam sector ? The article did say it was coming from the Melbourne Tokyo route that QF was taking over. Canning MEL-NRT is not going to cut it. They will need another aircraft from somewhere. With the schedule they have, they need another aircraft anyway. They are always canceling flights and doing positioning services cuz they don’t have enough planes. This route is doomed for failure. Jetstar have axed a few 787 routes already. OOL to WUH, OOL to KIX, BNE to HNL and soon MEL to NRT so they will have a lot of spare 787 capacity for new flying. 2. Low volume un/under-serviced Australian ports (TSV, MCY, NTL, CBR, ADL) to high volume international hubs (eg KL, HK, SIN). Trying to cherry-pick individual routes is ok, but a well marketed campaign of expansion into multiple new routes (aligned to BOTH options listed above) would do wonders for the QF group in PR and also community good-will (particularly in under-serviced regional areas). It would also silence critics and reinforce that the group can achieve route growth using its own metal rather than the never-ending series of Code-Shares that are used to indicate “growth” in the geographic network currently. good for them.Vietnam is a very under rated destination for people seeking something different for an ASIAN HOLIDAY.I have done the trip on Singapore Airlines and Malaysia Airlines in the past but this has the advantage of leaving straight out of the EASTERN STATES DIRECT.